Ben Pine is an Anchor at WHAS11 in Louisville, KY, specializing in Meteorology. 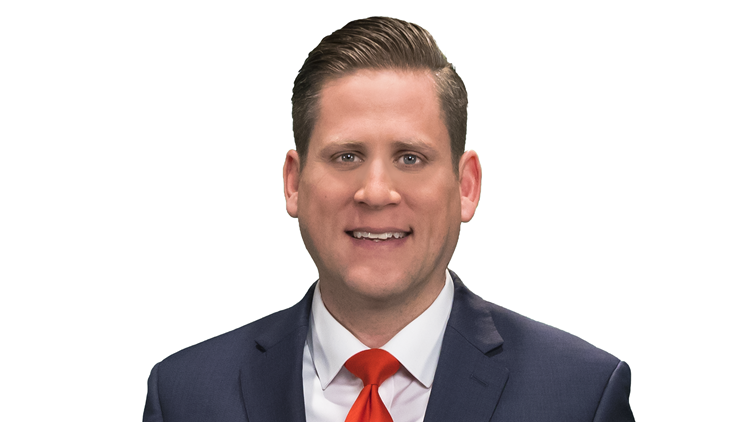 Ben says he is honored to be the Chief Meteorologist at WHAS-TV, "I love this town and this community, and I take this responsibility very seriously, and I take it home with me, keeping an eye on the weather around the clock. WHAS-TV has a history of hard-working, professional, and memorable Chief Meteorologists, and my hope is to continue that tradition." Ben's television debut occurred in 5th grade when a certain St. Louis weatherman put him on the noon news for winning a weather drawing contest. "I drew a tornado and won, but my happiness turned to tears when I found out I had to go on live TV in front of my whole school!" Ben had no idea then, that 11 years later he would be a member of the Ball State University Storm Chase Team, chasing real live tornadoes tearing through the Great Plains. After conquering a fear of speaking in front of large audiences, Ben is now proud to have the responsibility of telling people to take cover when severe weather and tornadoes come to town. Ben started his tour de television (thankfully before YouTube) on WCRH-TV in Muncie, Indiana at Ball State University. For the first professional gig, Ben and his wife Sarah were off to Peoria, Illinois for a stint in radio and forecasting for professional golf tournaments with Mobile Weather Team, INC.
Ben then spent a year at KRCG-TV in Jefferson City, Missouri and then three years as the morning meteorologist at WAGT-TV in Augusta, Georgia. He joined the First Alert StormTeam in May 2008. Ben was thrilled to make a stop at the home of one of golf's greatest courses in the world, and home to the Masters, "I will always treasure getting to caddy on those hallowed grounds of Augusta National for three seasons, and getting to play four times!" When he is not on the news, Ben enjoys spending time doing anything outdoors with his wife and two children, and of course, playing golf. He especially loves watching his son Brady and daughter Hannah play baseball and softball, and helping coach when the weather is nice. Ben has been awarded the American Meteorological Society's (AMS) Seal of Approval and the prestigious Certified Broadcast Meteorologist (CBM) Seal, along with the National Weather Association's (NWA) Seal. Ben won the AP award in Georgia for "Best Weather Reporting" for 2007. Contact Ben Pine at bpine@whas11.com and follow him on Twitter (@WHAS11Ben) and Facebook.